Have you ever thought about Working as a PR practitioner in China? Through the 2008 Olympics in Beijing and the 2010 Expo in Shanghai, China has revealed itself as a growing economic power and an increasingly resourceful consumer market. Nowadays, western business organizations are seizing the opportunities to establish relationships with Chinese corporations. In order to gain their share of the Chinese market, the organizations from the Western world perceive PR as an effective and crucial method to reach the consumers in China. With that being said, an increasing number of PR agencies started to land in major cities in China such as Beijing, Shanghai and Hong Kong. While being excited about the huge career opportunities and potentials of working in China, there are some differences between the two kinds of industries that you should expect if you decide to take that path. 1. Expectations on professionalism: According to a research done by China International Public Relations Association (CIPRA), PR is one of the easiest career choices in China. “Everyone can do PR.” that’s what the Chinese professionals said. However, the Chinese culture values education like no one else, your degree in PR will definitely become a competitive advantage in the Chinese industry. 2. Reputation and Public Perception: The public’s perception toward public relations as an industry in the U.S remains more negative than the public’s perception in China. The reputational downward trend of the PR industry in China has been reversed by recently pronounced events such as the Beijing Olympic Games and the Shanghai Expo. Through these events, the Chinese professional society began to realize the crucial role of PR in its’ development. However, there are still negative perceptions that PR practitioners have to bear in China from time to time. 3. Relationship with the Government: When working in a Chinese agency, especially a domestic agency in China, the campaign that practitioners run for clients should accommodate with the Chinese government’s ideology of “Harmonious Society”. It is not as propagandized that the campaigns should include the actual idea or thoughts of the government, but the campaign should, at the least, not be conflicting with the ideology. 4. Ethical Issues: There are practices in China that are ethically-challenging to U.S. practitioners, especially for those who work in media relations. For instance, PR practitioners in China might: pay “transportation expenses” for the reporters in order to get them into a press conference; write press releases for their clients with the featured style of news stories at the reporters “convenience”; While members of the CIPRA are advocating for the inhibition of such practices, the practices remain common in the Chinese industry. 5. 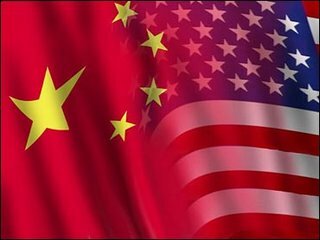 Different Approaches in Practices: Two-way symmetrical communication, an idea that is valued by the U.S. Scholars and Practitioners, is not really emphasized in the practices of Chinese PR. While practitioners in China value feedback from the public as well as the U.S. practitioners do, they prefer to send the perfect message to the public one time and one time only, what’s been learned from the feedback will be applied to the next campaign instead of the current one. These are only some of the salient differences between the Chinese and the U.S PR industry. Are there any comparisons you would like to add?